Sitting in a corner of her rented room in Korrukupet, C Shanthi, a manual scavenger is restless. Shanthi is not certain how much longer she will have this house in Anandanayaki Nagar as her shelter. The 40-year-old woman has not paid her rent over the past two months. A widow, Shanthi has been working at the Chennai Central railway station for the past five years. Her job includes sweeping and often cleaning faeces off the platforms, thus saving passengers the ordeal of foul sights and stench. What she gets in return for taking up this unsavoury profession is appalling: irregular pay, health issues and societal discrimination. People like Shanthi are the urban untouchables, occupying the lowest place in the caste ladder. The Environment and Housekeeping Management (EnHM) department set up by the Ministry of Railways employs a number of manual scavengers, but has been paying salaries only once in two months. “Salaries for the month of October were received only in the second week of December. How can I get through my life?” said Shanthi, who lives alone after her husband and son passed away. Suffering from high blood pressure, Shanthi did not report to work for a week and thus couldn’t collect her pay. “I get around Rs 6000 per month, with which I have to manage to pay my rent of Rs 2000, plus all my travel and medical expenses. 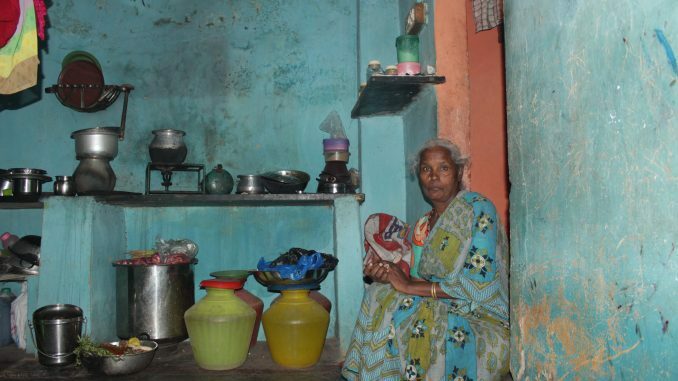 I am accustomed to sleeping on an empty stomach,” a distressed Shanthi told Citizen Matters. 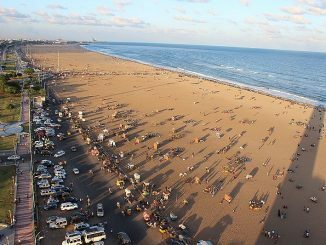 Over 500 manual scavengers working for Railways, the Chennai Corporation and Metrowater department in Chennai share a similar fate as Shanthi’s. But do they have an option? Hailing from the economically backward families and with no proper education, a majority of the manual scavengers are unaware of the existing government schemes. And for those who do, and desire to benefit from these schemes, it is a walk on a double-edged sword . According to the Prohibition of Employment as Manual Scavengers and their Rehabilitation Act, 2013, members of the community can start their lives afresh if they choose to give up the profession, with funds facilitated by the central government. The central government would give them a dole of Rs 40,000 and a monthly pension of Rs 7,000, besides bearing their medical, housing and education expenses as part of the rehabilitation. National Safai Karamchari Financial Development Corporation, the nodal agency for rehabilitating manual scavengers, releases the funds after issuing identity cards. On paper, the law is comprehensive, but in reality, it all boils down to rhetoric. Every step to start their lives afresh proved futile for the manual scavengers as they are meted out insults, threats and shame. It has been reported earlier how Ripon Building closed its doors for the scavengers who volunteered to quit the profession. Some also report instances when the contractor threatened to terminate their services for opting to give up scavenging in return for the government’s rehabilitation. “We have to apologise to him for doing so. He said he would not pay the salaries due,” says Prema (name changed), one such scavenger. 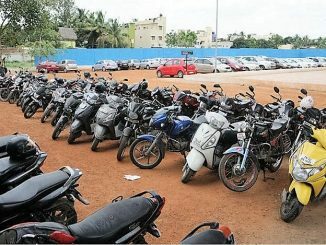 When confronted earlier in June, officials from the Corporation accepted the self-declaration forms from around 30 scavengers working in the railways and the municipal authority. However, six months later, the files are still catching dust. Even for those who did manage to submit their applications, life has not been easy. 49-year-old M Shaktivel was full of smiles when he submitted his form at the Chennai Corporation in June 2017, after arduous attempts. But the long wait of six months has shattered his dreams. “It kills me when people look at me with such disgust. But do I have a choice? The officials have not even conducted an enquiry yet and I am unsure about the rehabilitation now,” said Shaktivel, who cleans blocked sewers in households as instructed by corporation officials. A resident of Semmenchery, he earns around Rs 7,500 every month for unblocking the sewers, but he dreams of a life of dignity by setting up a cycle shop with the rehabilitation money. “The stares of disgust and contempt from my neighbours and relatives pull me down. I often hide my professional identity,” he rued. To make matters worse, the absence of any kind of safety gear has led to deterioration of Shaktivel’s health, making him increasingly vulnerable to skin allergies and lung infection. Neither the corporation nor the railways has conducted the enquiry, which is the first step in the rehabilitation procedure. Long efforts to get a reply from Southern Railway by this reporter proved futile. A senior railways official indicated that the department does not hire scavengers. It is, however, done by a separate wing under Railways, namely the Environment and Housekeeping Management (EnHM) which employs scavengers through contractors. Whatever may be the case, the fact remains that official inaction has thwarted the attempts of these scavengers at upliftment and integration into mainstream society. The law has failed to give them an alternative life or even respite from socio-cultural stigma and untouchability. 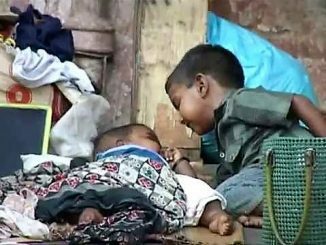 A survey by IRCDUC on homeless children has revealed that only 54% access services by the anganwadi centres in the city. Many suffer habitually from fever, cough, wheezing and diarrhoea as a result of their rough living conditions. Good article. A bite from their children would’ve added even more emotion.